When will you see the bill for I-66 tolls? Charges may take a bit longer than the typical three days or so to show up in an E-ZPass account, according to Virginia Department of Transportation officials. RICHMOND, Va. — Drivers who pay rush-hour tolls to drive alone on Interstate 66 inside the Capital Beltway and those without an E-ZPass can expect the toll charges or violation notices to come several days after using the road, Virginia Department of Transportation Tolling Director David Caudill said. 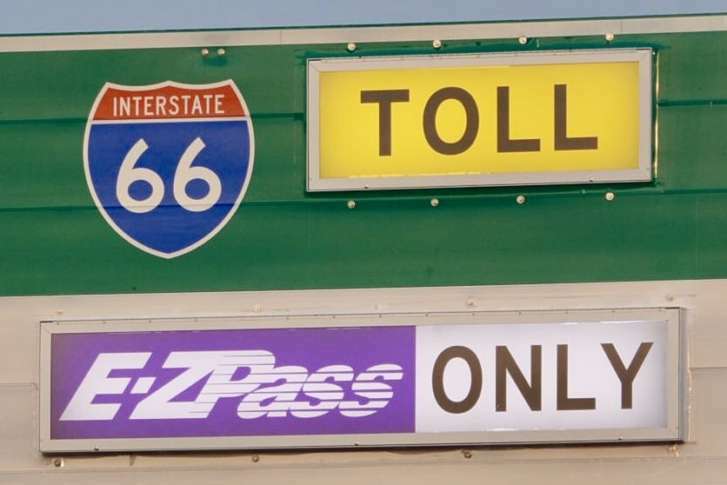 For the first week of tolls, Caudill said his team is making the lists and checking them twice to ensure all charges are accurate, so the charges may take a bit longer than the typical three or so days to show up in an E-ZPass account. “Right now everybody’s on pins and needles. We don’t want to make any mistakes if we can help it, and so that’s why we’re doing the extra [quality assurance/quality control],” Caudill said. “Anything that gets through that is not correct just hurts the credibility of the system, and we don’t want to do that. We want to run the system the way it should be run and we don’t want to be running a system that people have no faith in,” he added. The group running the tolls for solo drivers on I-66 checks the tolls billed, then sends them to Virginia’s E-ZPass center to either post to an E-ZPass account or send a violation notice in the mail. In the event a driver does catch a possible mistaken toll on his account, Caudill said the first step is to call E-ZPass to file a complaint. Drivers can double check what the listed toll was at a given date and time on VDOT’s toll website or app. For violations sent to drivers who use the road without an E-ZPass or with an E-ZPass account that does not have money in it, their complaint process is similar. “If you get a notice and say ‘that wasn’t me,’ or ‘I wasn’t driving’, then there are dispute steps for that and you would call in and file a dispute,” Caudill said. Virginia does offer email alerts for E-ZPass owners that can provide notice of an expired credit card or low balance to help head off a violation. If a first mailed violation notice is ignored, Virginia sends a second notice before referring the case to a debt collector. After about six months, violations that are not addressed are sent to court where a judge can order additional penalties. VDOT does send the violation notices and refer the cases to debt collectors even for out-of-state license plates. Among the checks in the system is an effort to prevent double billing for toll cheaters. If a solo driver headed toward Rosslyn between 5:30 a.m. and 9:30 a.m. or toward the Beltway from 3 p.m. to 7 p.m. is caught with an E-ZPass Flex in HOV mode, that ticket for a violation would be what the driver would face rather than an additional bill for finishing the trip with the transponder flipped back to regular mode, Caudill said. Drivers can still rack up multiple violation notices for the same trip if the violations are on different roads such as the Dulles Greenway, Dulles Toll Road and I-66. Caudill hopes police enforcement is easier now since officers only need to check that drivers with an E-ZPass Flex switched to HOV mode have at least one other person in the car and a variety of old exemptions have been erased.